Have you ever been reading an article, whether in a magazine or online about a competitor’s business and thought, “Why didn’t I think to write that?” Unfortunately, great content doesn’t come easy, or naturally, to most. It’s more than just writing a blog for your website or pushing out a Tweet or LinkedIn post. Generating content that people want to read includes resources and time that hinder many people from even trying. Becoming an expert at content generation doesn’t have to stop you before you get started, however. Whether you prefer using an editorial team or a smaller operation including freelancers, it’s not impossible to be the thought leaders in your industry. 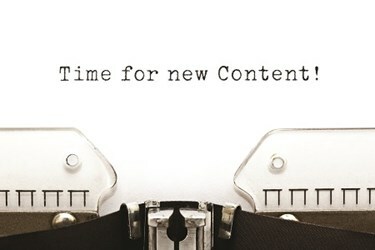 But writing content, and great content at that, is a challenge for most businesses. Whether you’re the owner of a small business, or the product manager at a bigger company, it’s not easy to continually produce content that your customers, or potential customers, will want to read. So, if it’s not easy to do then how do you do it? Start off by thinking about what you and your business do best. What distinguishes you from your competition? If you offer a service or program that stands out, or have an exclusive product no one else can sell, think of the best ways to advertise that through a subtle sell. All too often people think of content as just a way to tout their own internal products and values, without giving much thought to the message’s vehicle and the message itself. Instead, why not set yourself apart as a trusted resource for industry-related information that ultimately points people back to you?